Apple has announced their 4th consecutive Beta version of iOS 10.2 on 28th Monday 2016. 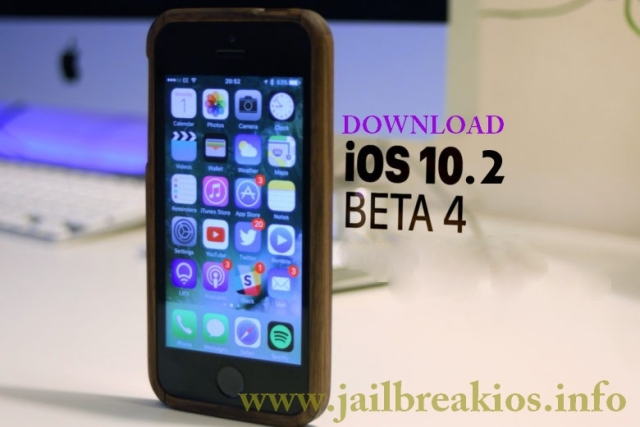 The latest iOS 10.2 Beta 4 download and install is available for all the developers and several other parties who are eligible or enrolled with Apple developer program. This update is not directly available via direct OTA (over-the-air) update. So if you are an eligible member, we prefer you to download it via Appe Dev. Center. There were several new features on iOS 10.2 Beta 3. SOS – Easy SOS feature was introduced with iOS 10.2 Beta 2, it offered an optional section inside the settings menu to manage iOS 10.2 emergency activities. Apple has also given the ability to configure device to call SOS number of specific users country by simply pressing the power button of the device for five times. This SOS feature was negated from iOS 10.2 Beta 3, also for the iOS 10.2 Beta 4 download and install the feature is not found. Feedback app – This app was a long lasted one for iOS, but Apple dropped it on several previous iOS versions. But they have added it back on the iOS 10.2 Beta 3. So far we don’t see any kind of difference in iOS 10.2 Beta 4 download and install package as well. Messaging App – Apple introduced some vibrant screen effects for iOS 10.2 Beta 3, these features can be identified as good improvements from previous iOS 10.2 Beta 2 and Beta versions. It shows a nice graphical animation related to particular situation. There was a small shutter bug in iOS 10.2 Beta 3 which causes a lag or blur on camera when the device is moving rapidly. However this bug has been almost fixed for the latest iOS 10.2 Beta 4 download and install package. Further, current latest version is iOS 10.1.1. There is a higher possibility to release a Cydia download package with jailbreak iOS 10.1.1 in the near future. So we expect a bug fixed iOS 10.1.2 with encrypted exploits for iOS 10.1.1 jailbreak before the release of iOS 10.2. Considering above details, we didn’t find a big difference between iOS 10.2 Beta 3 and iOS 10.2 Beta 4. But Apple has mainly focused on system operation smoothness and other improvements for performance. So, we would like to call it as a performance improvement based iOS 10.2 Beta 4.